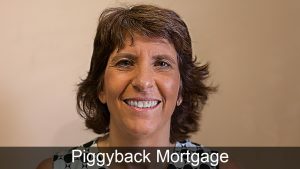 In this video, Mary explains how borrowers can save money by using a piggyback mortgage, which is sometimes called an 80/20 loan. Two common savings when using a piggyback mortgage come from avoiding mortgage insurance, and avoiding a jumbo loan. To show you how this works, Mary shares with you a case she is working on where a borrower used a piggyback loan to avoid getting a jumbo loan, therefore, saving money for years to come. This week, I’m helping a borrower to purchase a home using two loans. This is referred to as a piggyback loan. You may remember these from years ago. They were quite popular to help people to avoid mortgage insurance on a deal, or to do 100% financing. Sometimes they were called 80/20 loans. We haven’t seen much of these lately, but we do have some available products still, for this type of loan. One of the reasons you might want to use this, as before, you can use it as a way to avoid mortgage insurance on a deal. For instance, instead of getting one loan at 90%, where there may be mortgage insurance, you can get the first loan at 80% loan-to-value, and a second at 10%. Another reason, within the case I’m working on right now, could be to avoid a jumbo loan, which may have higher rates. A jumbo loan is any loan that’s over $417,000. So instead of getting one large loan that would be over $417,000, what we’re doing in this instance is we’ve split it up into two smaller loans. One of $417,000, and then another for the remainder of the purchase price, going up to a 90% loan-to-value. The second loan, in this case that I’m using, is a 15-year fixed loan, which is a great product as well, and it’s not an ARM, whereas many jumbo loans are ARMs, or adjustable-rate mortgages. In the case of the borrower I’m working with currently, we presented both options. We presented a 5/1 ARM and showed him the rate and payments on that, and then we presented the second option, showing the first loan and the second loan and how its payments would differ. He particularly liked the fact that the second loan was for 15 years, and that would enable him to pay a large portion of the house off rather quickly. If you’d like more information on a piggyback loan, and if it might be beneficial to you, give us a call at Marimark Mortgage, 866-910-8020, or visit us online at MarimarkMortgage.com. Thank you.